For Day 9 of the Blogging from A to Z Challenge, I am pleased to present a book review of Patricia Crisafulli’s latest book “Inspired Every Day: Essays and Stories on Finding Extraordinary Grace in Ordinary Moments”, a collection of essays and short stories, fiction and nonfiction. These stories celebrate and honor reconnection, possibility, forgiveness, family, love, joy and finding moments of extraordinary grace in the midst of ordinary life. There’s something about inspiring stories that pulls us in. Stories are a wonderful way to chronicle life as it is experienced and perceived. The characters or the story teller may be different, but the stories are invariably universal in their essence. If you’ve ever told a story – a simple one – and received the response “this happened to me!”, you know what it is like to feel that connection. The story may be fiction or nonfiction, have real characters or imaginary ones, but at its core, it speaks the truth. We get a glimpse into the possibilities of love, healing and grace in abundance, just because we asked. 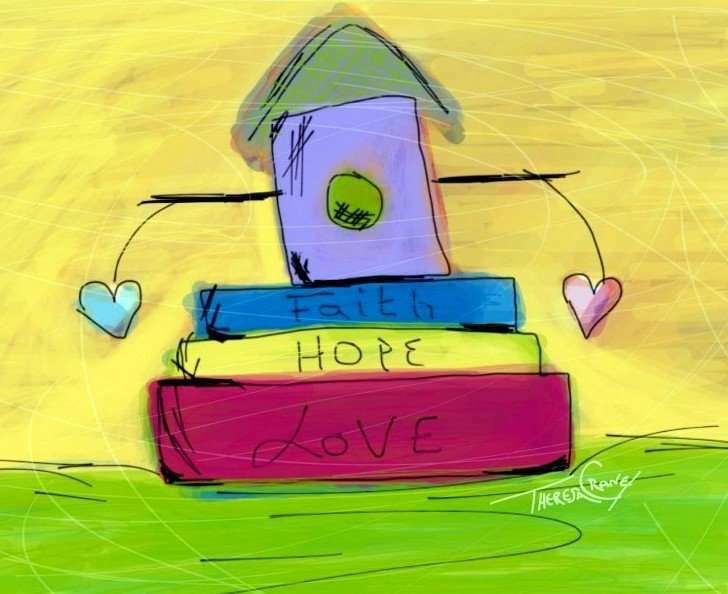 The greatest thing about stories is they inspire faith and celebrate hope. Faith soothes us, letting us know that there is something beyond us within our reach, waiting for us. No matter how we see faith, it embraces our beliefs and influences experiences and expression. Faith opens us up to miracles everywhere, the signs we see and the affirmation that we are not alone. Hope is faith’s friend, offering the encouragement to continue our journey. While faith sees new possibilities, hope leads us to them, helping us overcome fear and the lack of momentum. That is why we hear the phrase “faith and hope can move mountains” – or at least kick the stone within, freeing ourselves to be who we were meant to be. As we tune out the negative, we are encouraged to share our wisdom through our stories. 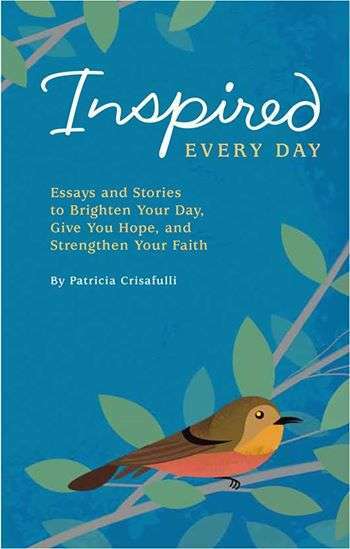 It is what Patricia Crisafulli does in Inspired Every Day: Essays and Stories on Finding Extraordinary Grace in Ordinary Moments. These stories and essays will warm your heart, and perhaps inspire you to write your own. In the 16 stories and essays, there are personal reflections alternating with stories of family, nature and daily life. In one essay, Crisafulli relates how her anger and annoyance over being stiffed ten dollars from an ATM led her to encounter remarkable coincidence and regain her faith in the human spirit. In one of the fictional stories, a grandfather, who’s always lived on the edges of his grand-children’s lives, learns to reconnect with them after his wife dies. Each work of fiction and nonfiction provides hope and brightness. Inspired Every Day: Essays and Stories on Finding Extraordinary Grace in Ordinary Moments is a short, quick and easy read. Pleasantly written, each story/ essay tugs at the heart-strings. Don’t be surprised if you shed a tear or two. Published by Hallmark Gift Books, a division of Hallmark Cards, Inc.
Patricia Crisafulli is a New York Times bestselling author, former business journalist for Reuters and speaker who inspires people to tap into their most dynamic and creative selves whether in the workplace or in their personal lives. She has authored several books in a variety of topics from leadership to women’s issues, including the New York Times bestseller The House of Dimon: How JP Morgan’s Jamie Dimon Rose to the Top of the Financial World (Wiley, 2009) and co-wrote two others, including Rwanda, Inc.: How a Devastated Nation Become an Economic Model for the Developing World (authored with Andrea Redmond. Her first book was Remembering Mother, Finding Myself: A Journey of Love and Self-Acceptance (under the name Patricia Commins. 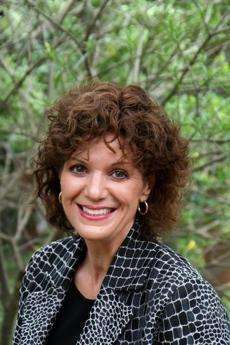 A regular contributor of personal to the Huffington Post, Crisafulli also founded www.FaithHopeandFiction.com, a bimonthly e-literary magazine that features original fiction, non-fiction and poetry. Hey, I just found out about this blogging challenge and it seems like a great idea, especially when you lack inspiration for too long. That book looks like something I’d definitely want to have on my hands. Thanks for sharing, hope you’re having a great day! Sarah Cooper recently posted…Revitol Anti Aging Cream – Is Imperfection Worth It? “The greatest thing about stories is they inspire faith and celebrate hope.” This is especially true about true stories of extraordinary achievements of ‘ordinary’ people. We all need all doses of hope, faith and inspiration that we can get from anywhere and everywhere in life, because these three muskeeters keep us moving 🙂 Thanks for sharing this review with us, Vidya. I’m sure this is going to penetrate deep into the hearts of many people who love to get inspired. Sreeja Praveen recently posted…A to Z Random Post # 9 I – Innocence ! There is a reason I am reading this today and feeling so gobsmacked! You will know more when we chat. That apart, this is a very lovely review and I feel I must lay my hands on this book soon. Shailaja V recently posted…who am i? Meena Menon recently posted…Ramasseri Idlis…. The book seems interesting and I believe that inspiration comes from everywhere. I like how you so nicely explain how hope and faith are “related” 🙂 This looks like a good book to read! Thanks for this inspiring review. This sounds like just the kind of book I’d love to own, Vidya! Look forward to reading it soon. This is a lovely review Vidya. And I’ll soon get to this book…soon! 🙂 Stay Inspired! Thank you for sharing this book w/ us. I know it is something I would LOVE. Thanks for sharing this Vidya. It peaks my interest and guess I shall own it soon. All your posts are so inspiring! I can’t believe all the beautiful writing you’re doing!! Shail Raghuvanshi recently posted…I is for the I, Me, Myself!